Just when you think you are swimming serenly alone, you find yourself suddenly surrounded by a cloud of Baitfish. 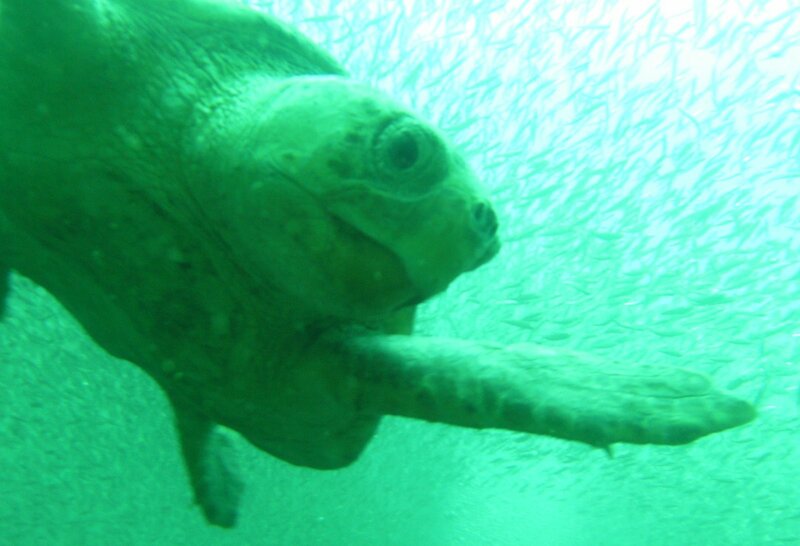 Just as this picture of the Sea Turtle, he was minding his own business and became enveloped by the Baitfish. The Baitfish are EXACTLY what the name implies. Bait. For bigger fish. For the REST of the STORY…head over to Laced with GRACE….that is where I will be on Thursday! Credit for the photo—Diver/Attorney—Thanks R.E.C.! Credit for any big words I use–Attorney/English Professor—Thanks D.J. This entry was posted on Thursday, August 28th, 2008 at 1:00 am	and posted in Devotion, faith, Laced With Grace, She Speaks. You can follow any responses to this entry through the RSS 2.0 feed. « I am SO THANKFUL! I will be there my friend, love you.